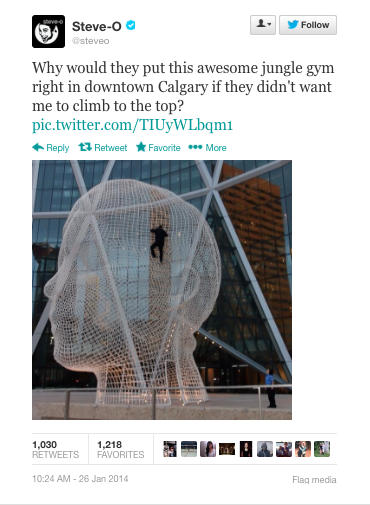 Steve-O always makes some kind of splash when he comes to Calgary. 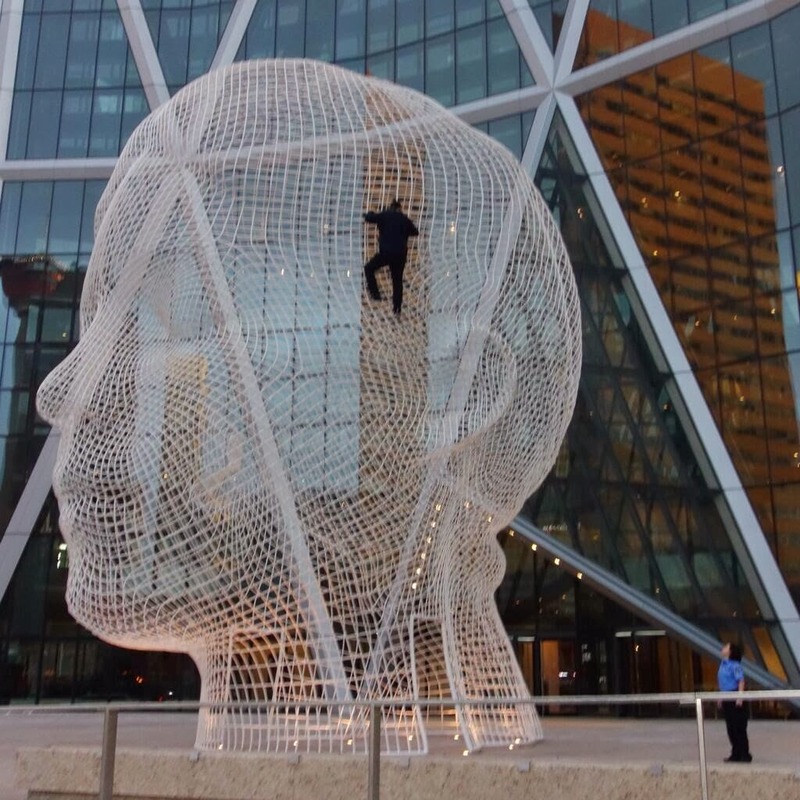 A couple of years ago he got arrested at the airport and this time he took to climbing the Plensa statue outside of The Bow. Now I want to do it. Dammit. We are told to let our light shine, and if it does, we won't need to tell anybody it does. Lighthouses don't fire cannons to call attention to their shining, they just shine. See the link below for more info.